His name was Bubba, he was from South Carolina. As the story goes, he needed a loan, so he walked into a bank in Manhattan down near Wall Street and asked for the loan officer. He told the loan officer that he was going to Paris for an international redneck festival for two weeks and needed to borrow $5,000. (No kidding, that’s exactly what he said.) And then he said he was not a depositor or a customer in any way of the bank. 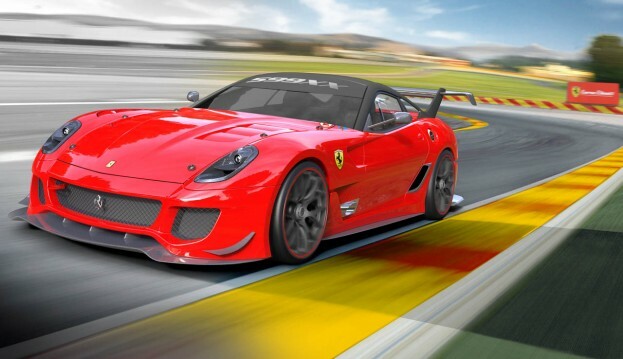 the loan, so Bubba hands over keys to a new Ferrari 599XX Evoluzione. The car was parked on the street in front of the bank. Our red neck friend readily produced the title and everything checked out. The loan officer agreed to hold the car as collateral for the loan and apologized for having to charge 12% interest, but, hey, somebody’s gotta fund all those year-end bonuses for the 1% ers. Later, the bank's president and its officers all enjoyed agood laugh at the redneck from the south for using a $250,000 Ferrari ascollateral for a $5,000 loan. An employee of the bank then drove the Ferrariinto the bank's private underground garage and parked it under the watchful eye of the bank’s security cameras and guards. Two weeks later, the man returned, repaid the $5,000 and theinterest of $23.07. The loan officer said, "Sir, we are very happy to have had your business, and this transaction has worked out very nicely, but we area little puzzled." "While you were away, we checked you out on Dunn & Bradstreet and found that you are a Distinguished Alumni of Clemson University, a highly sophisticated investor and multi-millionaire with real estate and financial interests all over the world. Your investments include a large number of wind turbines around Sweetwater, Texas and vast holdings in other industries. What puzzles us is, why would you bother to borrow $5,000?" The good 'ole boy replied, "Where else in New York Citycan I park my car for two weeks for only $23.07 and expect it to be there when I return?"